Founded in Norway in 1877, Helly Hansen continues to develop professional-grade gear that helps people stay and feel alive. Helly Juell Hansen had been at sea since the age of 14 and in 1877, at the age of 35, he and his wife Maren Margarethe began producing oilskin jackets, trousers, sou'westers and tarpaulins, made from coarse linen soaked in linseed oil. Over the first five years they sold around 10,000 pieces. In 1878 the company won a diploma for excellence at the Paris Expo, and began exporting its products. Through insights drawn from living and working in the world’s harshest environments, the company has developed a long list of first-to-market innovations, including the first supple waterproof fabrics almost 140 years ago. Other breakthroughs include the first fleece fabrics in the 1960s, the first technical base layers in the 1970s, made with Lifa® Stay Dry Technology, and today’s award winning and patented H2Flow® temperature regulating system. This fashion company specializes in various cold weather apparel as well as other clothing items. A few of the specialties include the following categories. If you are not yet familiar with Helly Hansen outerwear, we strongly suggest that you visit their website to learn more. Visit the Helly Hansen website. You may also want to visit the Helly Hansen workwear website. Helly Hansen designs and manufactures winter apparel for men, women, and children. 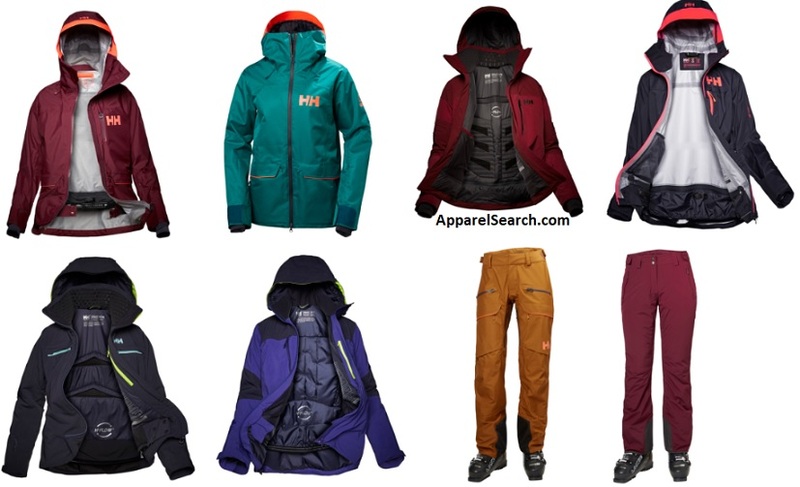 Learn more about Helly Hansen here on Apparel Search.